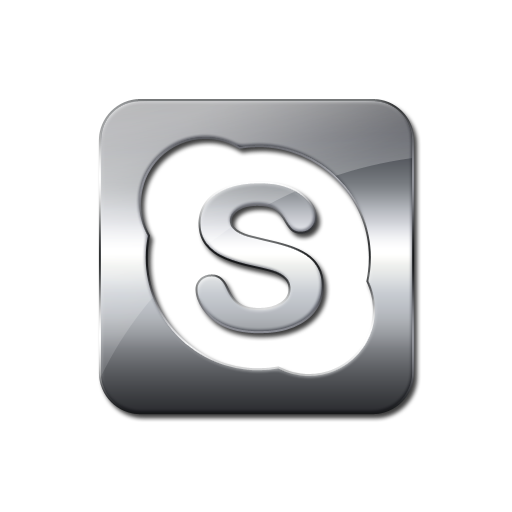 Players who would like to register at ShenPoker - IDN Poker may contact us on skype: ID rakeadvisory to receive more details. To correctly set up your new Shen Poker account you must uninstall any existing software and clear cookies. Check the browser icons for more details. Please send us your ShenPoker Username you registered at previous step. ShenPoker is the flagship of IDN Poker, which is currently the biggest Asian poker network in the industry, with more than 10,000 connections at any hour. The huge traffic numbers can be explained by the Asian poker boom which has started in 2017 and continues to expand in 2018. As you may notice from our IDN Poker review, the Asian poker network has surpassed all traditional online poker operators, except PokerStars, due to its exposure to the Asian market. They target mostly customers from China, Malaysia, Indonesia, Cambodia, Thailand, Taiwan and other asian countries. While officially they do not accept players from non-Asian countries, under the record we can confirm that players can register through RakeAdvisory from all over the world, by simply using a VPN, while we intermediate their transactions. ShenPoker has proven to be the most trustful and reliable online poker operator that activates within IDNPlay, the official brand of the Asian poker network. It provides fast and secure transactions through mainstream e-wallets such as Skrill and Neteller and also offers two factor authentication when you login, thus guaranteeing safety of your account. This measure has found to be helpful since there have been some rumors on forums about some unsecure skins and players claiming their accounts being broken. While playing with us at IDNPlay, you will benefit from the best conditions and safety is our biggest ally. Based on our IDN Poker review conducted by professional advisors, we have made a list of main pros and cons that may help you easily make a decision whether or not to register at ShenPoker. Please use affiliate code 001975 upon registration. RakeAdvisory offers a private VIP system for players who register at ShenPoker with us. While the private VIP system runs, the public rakeback plan is deactivated. Players who register directly at ShenPoker receive a lower rakeback deal of about 25%, whereas RakeAdvisory players may earn up to 40% at IDN Poker based on the private VIP system. The lowest RB you can receive by registering through RakeAdvisory is 30% by default, which is already higher than ShenPoker’s public benefits for players. By playing more and increasing your limits, you can rake more and therefore gain a better rakeback deal. We offer the best available rakeback deal for IDN Poker. Below you can find all the details of the private VIP system. Currently, there is no first deposit bonus offered by ShenPoker because all RakeAdvisory players are on a private rakeback deal which rewards them with up to 50% rakeback on aggregate, a much better offer than the public benefits offered by ShenPoker. With our monthly gross rakeback plans, you have the chance to harvest more rakeback than any limited time deposit bonus. Of course, beginners might be more attracted by bonuses, but grinders are eventually interested in how much rakeback they get from an online poker room. Free spins are exciting for recreational players but can also be a source of extra rakeback for regular players. Please check your account on a regular basis to benefit from the free tickets you might receive, before expiring. While playing at ShenPoker, you are also automatically subscribed to a monthly rake race with prize pool of 70,000,000 MYR. This ShenPoker promotion only applies for Texas Holdem Ring games. Prizes are awarded based on players’ position into the leaderboard at the end of each month. The winning players will receive their prizes credited directly into their accounts after the 5th day of each month. Below you have the top 10 rake race prizes. Players who hold places between 11th and 50th in the leaderboard will also be rewarded with a VIP badge. Being one of the main skins of the network, ShenPoker uses the same rake calculation method as all the other operators within IDN Poker Network. Unlike many other operators such as iPoker or GG Network, IDNPlay does not use any rake redistribution method. Instead, it uses a traditional weighted contributed rake method, which is quite common for most global poker networks. Basically, a percentage is taken from each pot to which players have contributed. While the average rake percentage perceived in online poker is 5%, IDNPlay only charges 3% for its Texas Holdem and Omaha cash games. This makes the Asian poker network very rake friendly for international players who can play against weak Asian players while paying less rake than on mainstream networks. Mass grinding on IDNPlay is a smart choice since multi-tabling is possible via RakeAdvisory and you don’t have to think much or make complicated decisions, the game flow being pretty much straight forward, with many weak players who play short stack. An ABC game will do the job, that’s why many of the international grinders prefer to only shove/fold preflop, a similar strategy with that used at hyper turbo SNGs. As you can notice from the table above, rake is 3% for all stakes, for both NLHE and PLO. However, there is no rake cap at IDNPlay, which can be considered a disadvantage but the low rake compensates for it, helping you maximize your win rate at ShenPoker. According to PokerScout Traffic Reports, IDN Poker has more than 10,000 players online at any hour of the day or night. At peak hours you can even see more than 20,000 connections, which is really impressive for online poker in 2018. Therefore, you will always find games for your stakes, including full ring games. The Asian poker boom is related to the high traffic numbers. For instance, on a weekly average, there are more than 5,000 cash games players at IDNPlay, while at peak hours you can find more than 8,000. ShenPoker offers a multitude of poker games, some of them very niched and unknown by international grinders. At IDNPlay you can find everything from Texas Holdem to Omaha, CEME, Capsa Susun, Super10 or Domino. At IDNPlay games are played in IDR (Indonesian Rupiah), where 1 USD is about 15,000 IDR. However, when you login into your ShenPoker account, you will notice that the main balance is in MYR (Malaysian Ringgit), where 1 MYR = 0.24 USD. IDN Poker review will only be focused on Texas Holdem and Omaha cash games, where most action takes place and which are very popular among worldwide grinders. It’s important to mention that while most tables are in the 6-max format, at IDNPlay you can as well find plenty of 9-max tables to grind. There are both normal and turbo tables where you have less time to act. The traffic is overwhelming at all stakes. Nevertheless, it is important to mention that Heads Up cash games are not running at IDNPlay. ShenPoker offers direct cashier, so worldwide players can deposit directly using international e-wallets such as Skrill or Neteller. Players also have access to a 24/7 live chat support that is prepared to asssist them with any query. Alternatively, we can also process transactions on your behalf by transferring money between your ShenPoker accounts or helping you deposit or withdraw faster. Usually withdrawals are processed fast, within a couple of hours for e-wallets and up to 3-5 business days in the case of bank wire transfer. ShenPoker does not charge you any fees, but Skrill/Neteller do. Therefore, the cheapest withdrawal method remains bank wire transfer. IDNPlay lobby is simple and user friendly, reminding us of social network games. ShenPoker client has several tabs showing the type of games and stakes available. Player balance as well as the updated leaderboard for the monthly rake race are also shown. The software looks a little bit fishy and has some bugs for the browser versi on (like players disappearing from the table or the table getting frozen probably due to high CPU usage). The software is not that modern and has few features but it compensates with the juicy traffic. Grinders can multitable but have to be careful to the CPU usage which can cause them issues. We advise not running more than 4 tables simultaneously unless you have a very good PC. Because there have been rumors on forums of unfair practices, IDNPlay has decided to publicly show that their software and RNG have been tested and certified against industry’s best practices by BMM TestLabs, one of the most experienced private independent gaming test lab. Unfortunately, IDNPlay does not support any trackers such as Holdem Manager 2 or Poker Tracker 4. Despite this fact, since most of the players are recreational and play completely randomly without any game plan with the lowest stacks possible, we don’t consider that HUD is required, based on our IDN Poker review. VPN usage is mandatory and risk-free for international players. Without VPN, unless you are not on the restricted countries list, you cannot play on the Asian poker network. We advise all western european grinders to contact us prior to registering their ShenPoker account. Players who use VPN do not risk getting banned or having their balance locked. VPN is only required for accessing the lobby from any country and playing without any IP issues. Read further our IDN Poker review to see the list of restricted countries for joining ShenPoker. Due to online gambling legislation, some countries are officially restricted for registering an account at ShenPoker. However, under the record you are allowed to play at IDN Poker Network from any country, by simply using a VPN from one of the accepted countries, which are mostly Asian countries like: Indonesia, Malaysia, Philippines, Cambodia, Taiwan etc. Armenia, Belgium, Czech Republic, Denmark, Estonia, France, Germany, Hungary, Iran, Ireland, Italy, Lebanon, Netherlands, North Korea, Poland, Portugal, Romania, Serbia, Singapore, Spain, UK, Ukraine and United States of America. For all the countries above, players will need to use VPN to be able to play at ShenPoker. You may contact us if you need any help to configure your VPN.